Interceptor, inline 6 . 170 c.i. 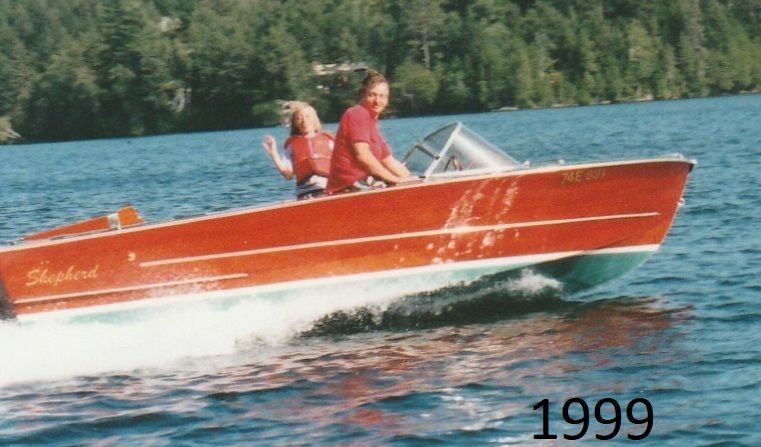 Great fun fast garage-able boat. This model was sometimes called the Ski-Bee. 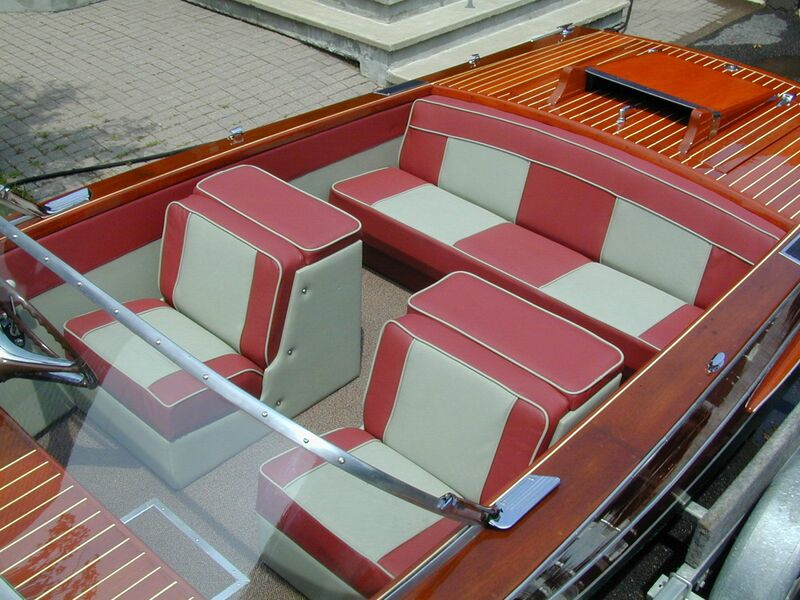 Full traditional restoration in 1990s and shown at the Manotick Antique & Classic Boat Society ( Ottawa, Canada) shows. 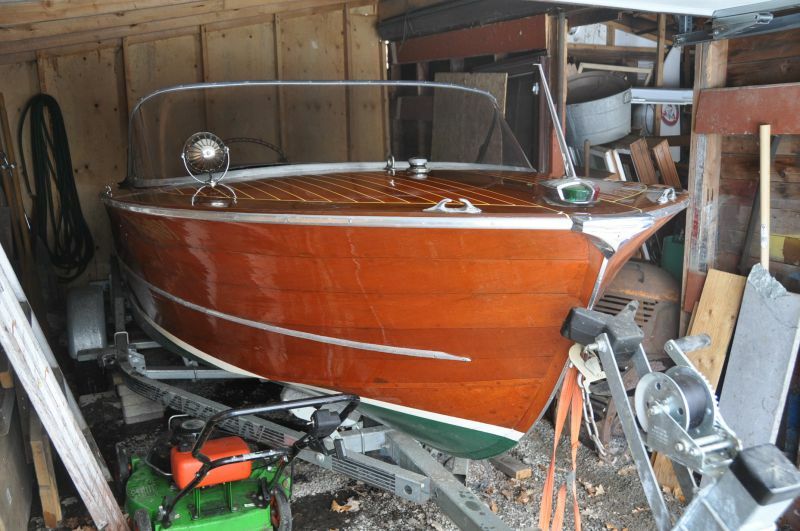 Unfortunately, this boat is not suited to our small lake therefore it has not been in the water since 2007 but it has always been stored covered in a garage. Hull details: Honduras mahogany planks on white oak framing. 100% Original decks. Bottom 100% original double-planked mahogany. A few planks replaced on the sides. Transom completely replaced during restoration using white oak and mahogany. No epoxy used during restoration. Sikaflex adhesive sealant and Epiphanes varnish used. Reproduction decals applied. I believe all the hardware is original. Powered by a 100 hp inline 6-cylinder Ford Interceptor engine with through hull exhaust and Eaton outdrive. · Newer galvanised 2000 lb “Karavan” bunk trailer. · Original bimini top. The frame is OK but the fabric is only useful as a pattern for a new one. 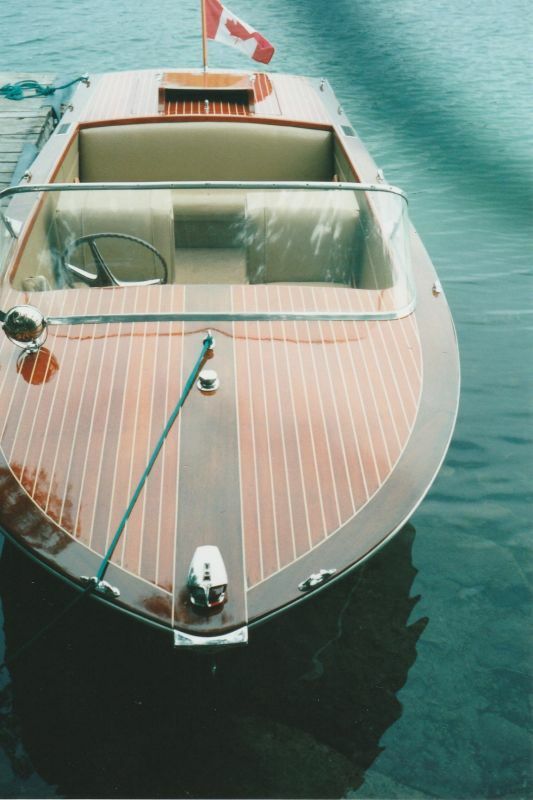 · A number of photos of the boat taken in 1970 by the original owner. · Engine and outdrive manuals. 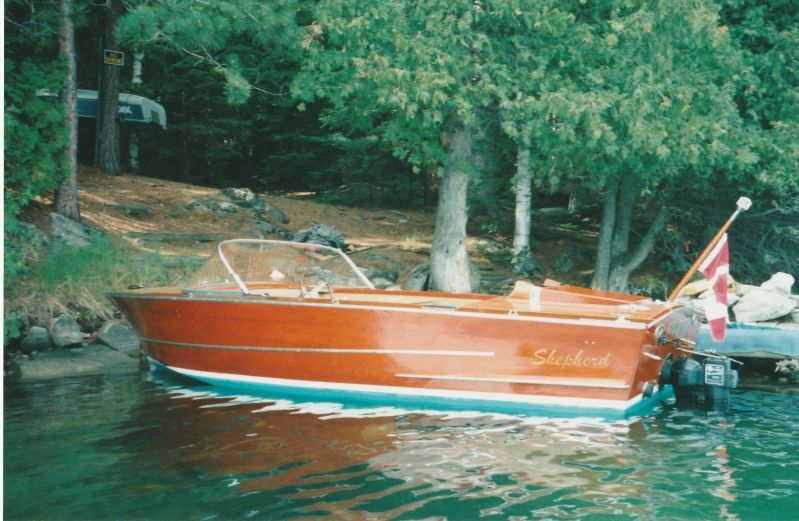 This boat is in the Shepherd Registry ( http://shepherdboats.com/ ) as boat # 610 http://shepherdboats.com/boatDetails.asp?boatID=610 . The boat’s serial number is 61-16-63. Looking for a good home for this solid boat but it will need some TLC to get it back on the water again. The hull is good and it was running when put into storage. The interior upholstery will need some attention. I took 37 photos of the boat Feb. 26 including last 4 images in this ad. 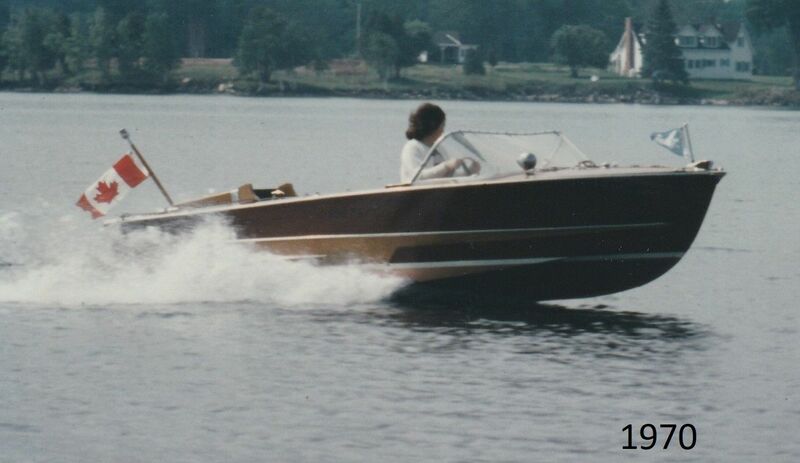 I have also added a few pictures of the boat taken in 1970 by the original owner. (I have more) and a picture taken at a boat show in 1999.